With this tariff you will pay electricity practically at market cost, to which we add a small margin. 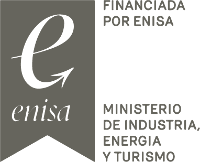 For example, for a customer with a consumption of 2000 kWh / year of consumption (common in an average Spanish home), our monthly margin is € 3.3 / kWh. This rate is a function of the variable cost of energy acquisition, so each month you will pay the energy at a variable price. It is a tariff that maximizes your chances of paying less in the medium term, since you can take advantage of the months when energy is cheaper. It is the option of large consumers, and ecovatios makes it available to any type of customer. You will pay according to what you consume. The price per kWh does not change during the following 12 months after your contract. In addition, as in all our tariffs, we offer you a contract with no permanence or penalties and, of course, 100% renewable energy. What is and when to contract hourly discrimination? Anyone with less than 15kW of power can contract it. That is, when you have a 2.0 or 2.1 tariff. It benefits all consumers who make, at least, 30% of electricity consumption in the “valley period”. This period has a total of 14 hours, from 10pm to 12am during the winter and from 11pm to 1pm in the summer. The hourly discrimination rate is convenient for most residential consumers. We want to get your commitment, but we will not ask it from you. For that reason, you can change to another marketer without any type of penalty applied at any time. When you make the switching to ecovatios you stay with your usual distributor -the company that owns the network and responsible for the meter readings-, so that, you won´t have any supply cut during the switching process. It is not necessary to make changes in your installation, because the distributor (the company that owns the network and responsible for the meter readings) does not change and, therefore, the supply is guaranteed as before. By contracting the light with ecovatios you will only change the electric company that bills you every month. We all have the right to choose the electric company that we consider appropriate. It may be the case that your landlord is the contract contract holder. In this case, there is no problem, since you can request to switch from the previous power company to ecovatios and become the new contract holder. If you are our client, please remember to give us notice if you leave your rent house, so we can ask your landlord if he wants to stay with us as power provider. Depending on each case, the change can last between two days and one week. We will notify you when the change bocomes effective via email. Remember that you will receive a last invoice from your previous electric company, corresponding to your consumption until the actual switch to ecovatios. What can be done in the Customer Area? First, you should check if the problem affects only your home or business, or if it is a general failure that affects your area or street. If there was an incident in the internal installation, you should check that the protections of the electrical panel have not been bypassed. In this way, we can discard possible reasons why there is a breakdown at your place. If you notice that everything is in order, you should contact a licensed electrician. On the other hand, if the incident covers other buildings in the area, the most likely is that it is a malfunction of the electricity network, so the distribution company in your area will be responsible for solving the problem. Your area distributor phone number is written in our invoices for your reference. In any case, if you have any doubts, you can always call us and we will do our best to help you understand the origin of the incident with the distributor. Contact us at 900 820 832. Yes, it is completely legal. It is regulated since October 2015 by RD 900/2015. With the current regulation and the radical reduction of the costs of photovoltaic technology, self-consumption projects in Spain are profitable, with periods of return of investment of between 6 and 10 years, generating savings of between 15% and 40% in the electric bill. In the case of residential customers, the return, using batteries, is between 10 and 13 years and can save up to 90% of consumption. Who carries out the installation project? The guarantee of the facilities is usually over 25-30 years, although this does not mean that after that year it will stop working. For the installation of the projects, from ecovatios we have a network of authorized partners formed by specialized engineering firms throughout Spain, that guarantee the quality of the project. Can any person or company install panels on their rooftop? Yes, in the specific case of companies, self-consumption benefits especially those with a pattern of intensive electricity consumption, in which energy self-production gives rise to little or no surplus of energy produced in situ. In the Spanish electricity system we can define four main sections, from production to consumption at your point of supply. Production: it is made up of electricity generation plants, such as nuclear power, thermoelectric, and biogas and photovoltaic plants. Transportation: once the first phase is over, it is transported by the high voltage lines, which are owned by the Spanish Electricity Network (REE). Power Retail Company: this is where ecovatios come into play. The power retail company gives bills the customer for its consumption. we purchase the power in the wholesale electricity markets and via bilateral agreement with renewable plant operators. The prices in the regulated market are established by the Government. However, in the free market, the electric companies and their clients are the ones that agree the term and conditions of supply. You, as a power user, can choose the retail company you prefer, whether in the regulated or free market. As we have already said, in the regulated market, the tariff structure is set by the Government. Since July 1, 2014 it is known as the PVPC (Voluntary Price to Small Consumer). ecovatios is an electric company that is part of the free market. The Universal Supply Point Code (CUPS) is the code that identifies each supply point. It is composed by 20 or 22 characters and always starts with “ES”. It is mandatory that the power retail company puts the customer’s CUPS on each invoice, so you can find it there without problem. In the first place, when requesting the change of power, the distributor of your area has the obligation to accept the requested change. However, if you have done this same process less than a year ago, they could deny it and you would have to wait for the year to be completed to make the change. Second, the change will be effective in a period of two or three weeks. Once it is active, we will communicate it to you by email. To lower the power has an established cost of € 10.94 charged by the distribution company through our bill. And this will be indicated once you have modified your power. We will not add any fee for management. To raise the power has a somewhat higher cost, so we recommend studying carefully the changes you want to make in your rate. In addition to the € 10.94, you will have to pay around € 45 for each kW you raise. Who does the meter reading? The company responsible for carrying out this task is the distribution company, and the reading it is normally done remotely. Once read, he sends the data to the retail electric company and it is then when we will be billing you your consumption.